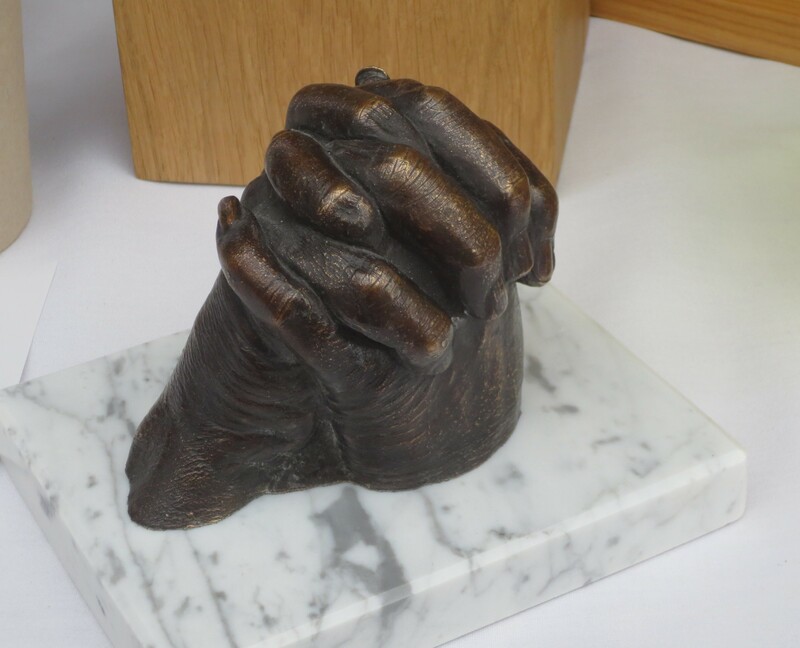 Elysium has made many sets of bronze hands, brought to us after they have been cast in plaster at a hospice. They really make the most personal of all memorials, with incredible detail. 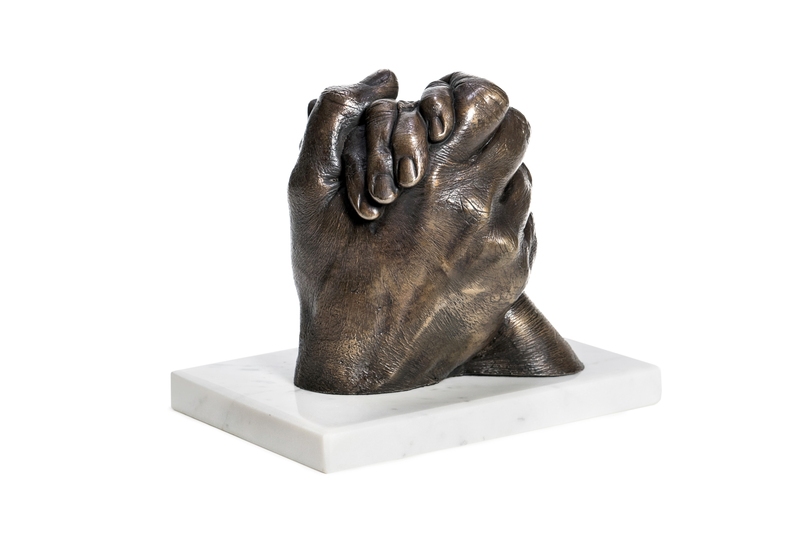 They are timeless sculptures for the home. As bronze is the most robust of all the materials, this is a way of capturing an intimate and meaningful moment in time forever, in perfect detail, within a beautiful and powerful sculpture. Prices from £550 + P&P. 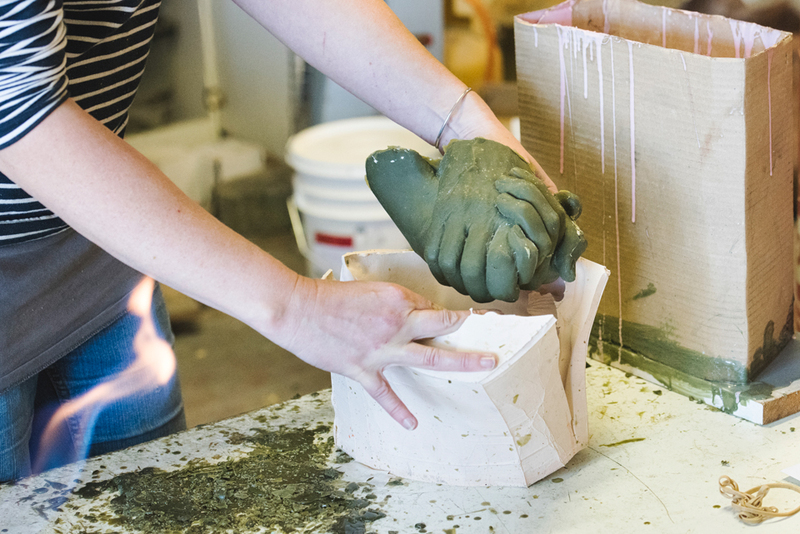 Bases can also be made to order. 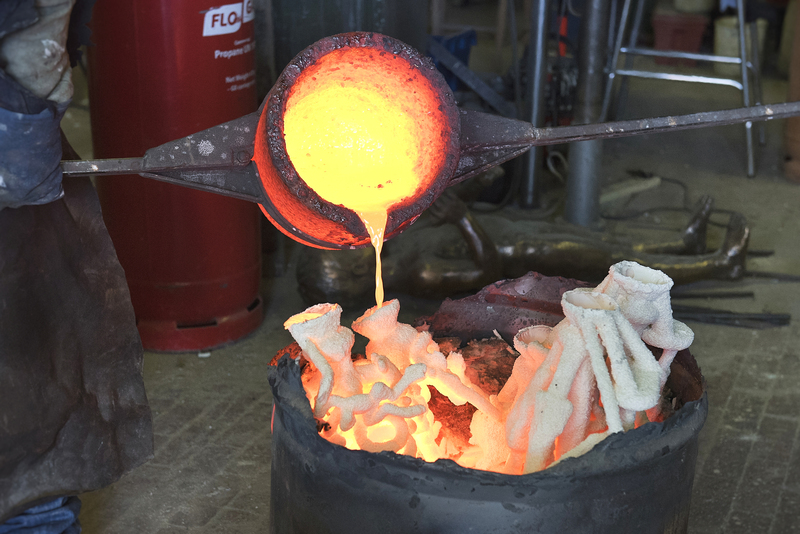 The bronze is cast with care and to the highest quality in a foundry in Somerset. 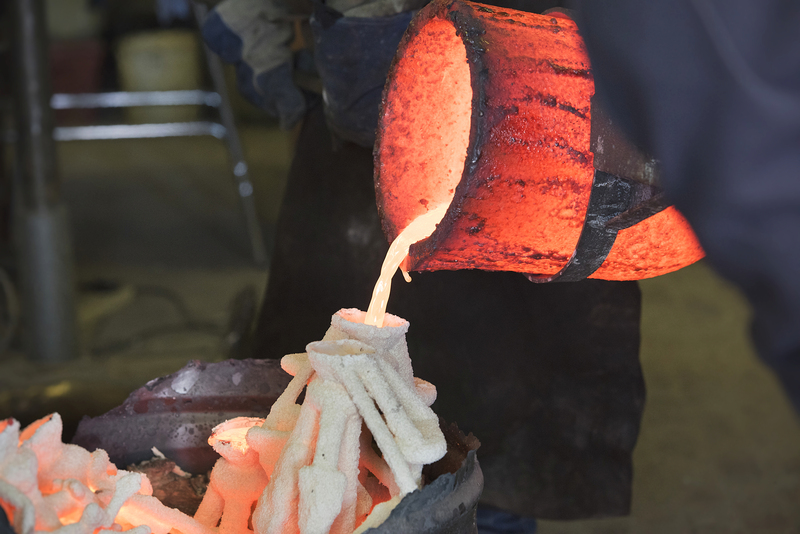 Casting bronze is a lengthy and involved process; please allow 8-10 weeks for delivery. 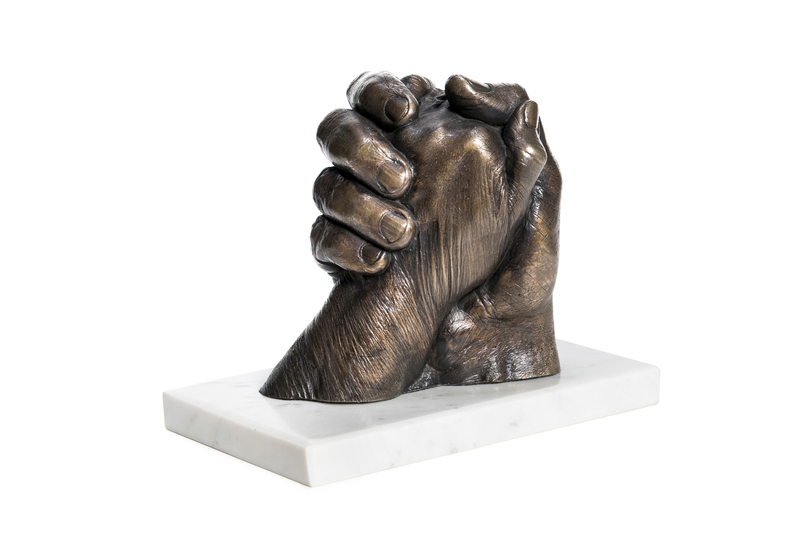 Bases can be made to order from a variety of stone and wood. An inscription can be added to a base charged by the letter.